dark believix tecna. . HD Wallpaper and background images in the Winx Club club tagged: winx club. This Winx Club fan art might contain anime, truyện tranh, phim hoạt hình, and manga. 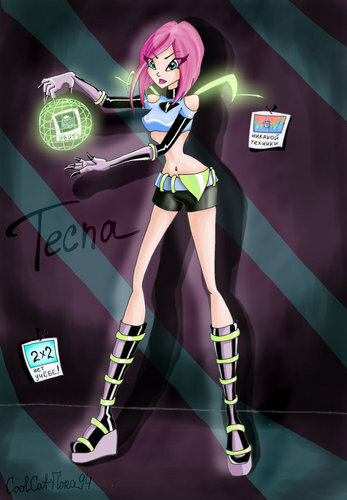 Tecna looks Evil and pretty at the same time! Nice!